Mike Pompeo has now been officially confirmed as President Trump's new CIA director. The US senate voted Monday, with an outcome of 66-32 in favor of Mr. Pompeo, reports The Independent. An evangelical Christian, Pompeo is a well-respected figure in the national security community. He is also an army veteran, and a staunch pro-life advocate. Two years ago, Pompeo gave a Church speech where he said Muslims who think Islam is “the only way” needed to be dealt with. “This threat to America is from people who deeply believe that Islam is the way and the light and the only answer,” Pompeo told the church-goers, according to Press TV. “These folks believe that it is religiously driven for them to wipe Christians from the face of the earth,” he added. “They abhor Christians,” he said of a small minority among Muslims. 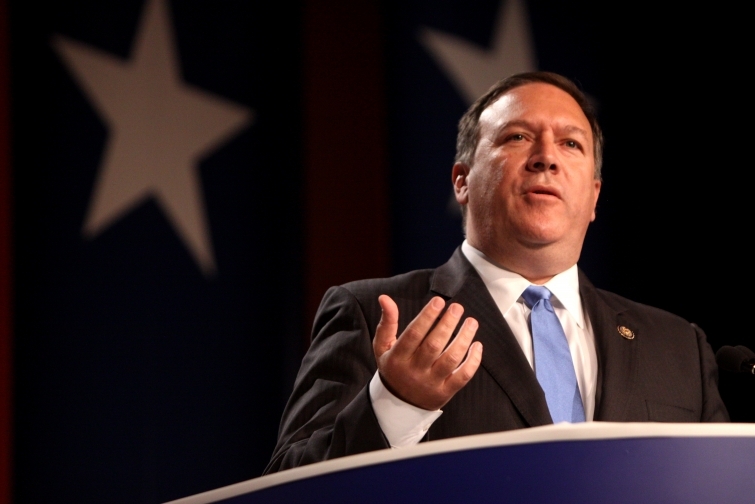 Following the Boston Marathon bombing in 2013, Pompeo took to the House floor to call on Muslim leaders to denounce acts of terrorism committed in the name of Islam. “It's been just under two months since the attacks in Boston, and in those intervening weeks, the silence of Muslim leaders has been deafening,” he said. Failing to condemn such attacks, he asserted, makes Muslim leaders “potentially complicit” in the attacks. "When the most devastating terrorist attacks on America in the last 20 years come overwhelmingly from people of a single faith and are performed in the name of that faith, a special obligation falls on those that are the leaders of that faith," he said. Trump visited the CIA headquarters at the weekend and made it clear that he is a big advocate of the intelligence agency, and his new CIA chief Pompeo. "There is nobody that feels stronger about the intelligence community and the CIA than Donald Trump," the new President said. Trump called Pompeo a "total star" and a "gem" and said he may have been his most important Cabinet pick. "I met Mike Pompeo, and it was the only guy I met. I didn’t want to meet anybody else. I said, cancel everybody else. Cancel," Trump said of his decision to nominate Pompeo. Watch Pompeo talk about the Islamic threat below. Mike Pompeo: "threat to America" caused by "people who deeply believe that Islam is the way" from The Intercept on Vimeo.